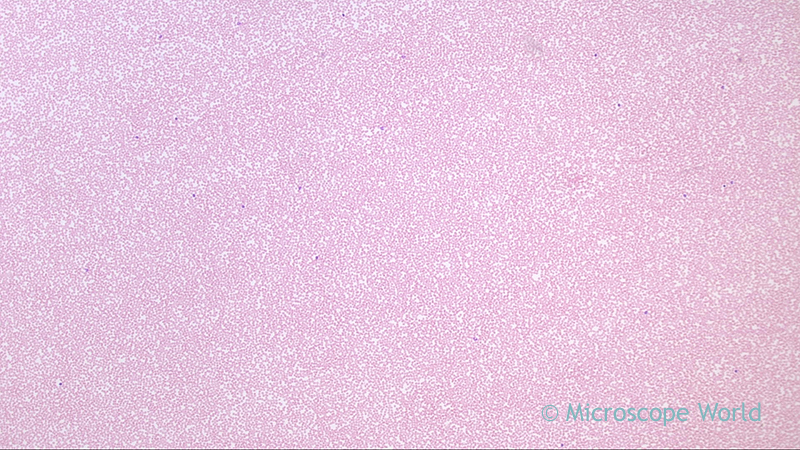 Wright's stain is a histologic stain that facilitates the differentiation of blood cell types. It is classically a mixture of eosin (red) and methylene blue dyes. 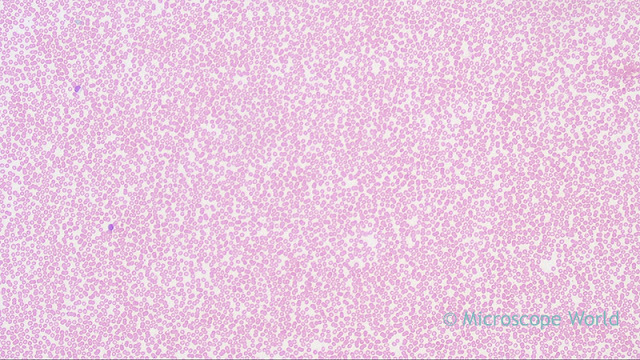 It is used primarily to stain peripheral blood smears and bone marrow aspirates which are examined under a light microscope. In cytogenetics, it is used to stain chromosomes to facilitate diagnosis of syndromes and diseases. Wright's stain is named for James Homer Wright, who devised the stain in 1902. The stain is actually a modification of the Romanowsky stain. 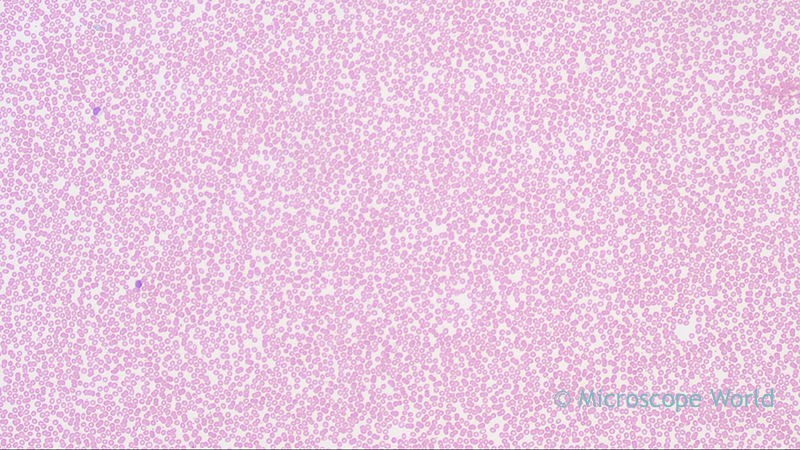 Because Wright's stain distinguishes easily between blood cells, it became widely used for performing differential white blood cell counts, which are routinely ordered when infections are suspected. 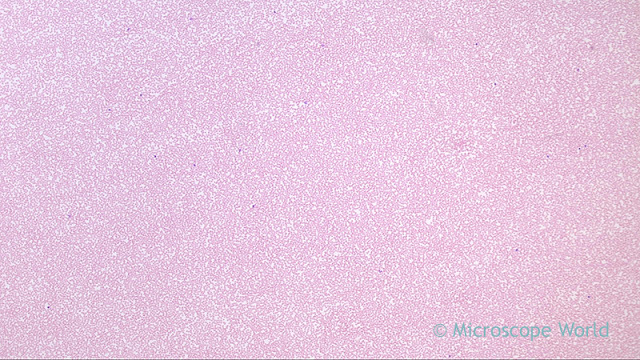 The blood smear images below have Wright's stain applied to them and were captured with a laboratory microscope. Blood smear with Wright's Stain captured at 40x under a clinical lab microscope. 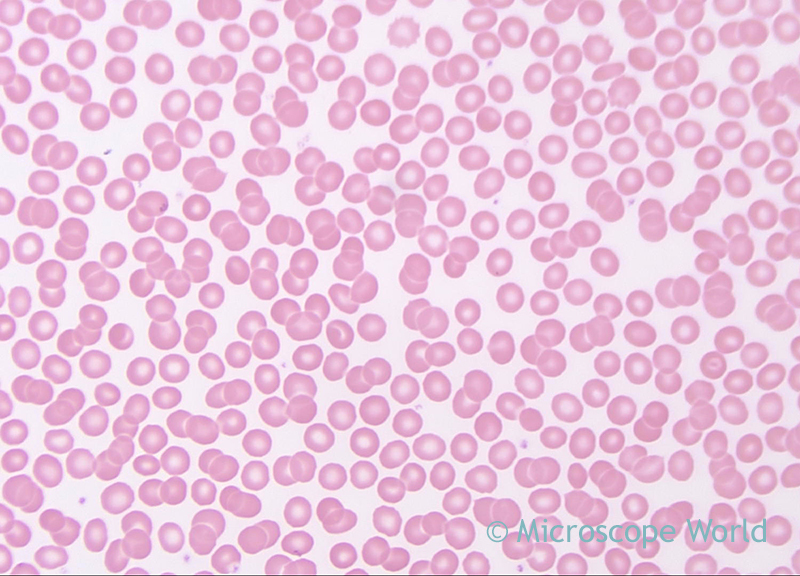 Blood smear with Wright's Stain captured at 100x under a clinical lab microscope. 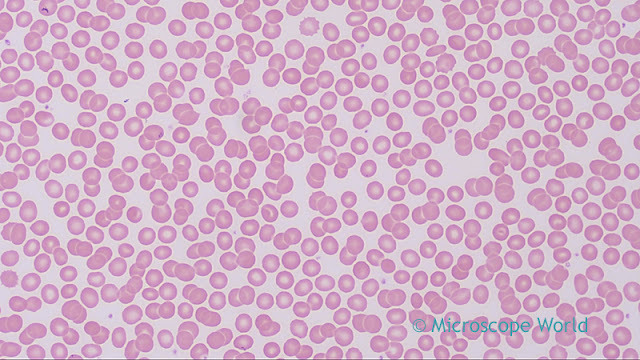 Blood smear with Wright's Stain captured at 400x under a clinical lab microscope. Blood smear with Wright's Stain captured at 400x under a clinical lab microscope using a Plan Fluor objective.